My mission is to deliver a rewarding workshop experience for each and every participant. Whether it is a local one on one session or a big group adventure I aim to provide an unforgettable learning experience. Each workshop is an adventure and a chance for a new shared experience appreciating, witnessing and capturing the majesty of nature. Here are a few recent testimonials from one on one and group attendees. I am a novice but committed photographer who found a compelling perspective and philosophy in Gemini Digitized’s Instagram feed. The photos reflect an awed and respectful reflection of nature, and the editing contributes glory to the composition and subject. When offered, I jumped at the opportunity to join a group workshop led by Joseph and Bruce Getty to photograph the Palouse. I could not have asked for a better learning opportunity - my inexperience was warmly embraced with a “can do” attitude, technical detail wrapped in meaningful description and excellent coaching and adventure mixed with good company and humor. Workshop hosting and shooting details were expertly attended to: accommodations, flight times, scouting, and picture locations honed by GPS, star and moon tracking applications and lighting and agricultural detail. Sunrises and sunsets were well documented with “at the elbow” tutorials. Creative and technical suggestions were offered and embraced! I also learned the value of an expert network -- Joseph’s well-honed network of partners, professional photographers and colleagues is without comparison. My experience shooting the Palouse under Gemini Digitized’s command of landscape photography transformed me into a lifetime fan and friend. I highly recommend his workshops and one on one tutorials -- your passion, skills, perspective and clients will thank you! I had the pleasure of attending a private photography workshop with Joseph in July. I have been following his social media account for some time, and my wife gifted this session to me as a birthday present for when we did our road trip across the US. We are from the UK, and communication with Joseph was great, he also gave me tips on what accessories I should bring. The session itself was fantastic! I have had a session at Nikon headquarters in London a few years ago, however Joseph’s session in the field, so to say, helped me understand how to get the best out of my camera. I can honestly say you remember much better when you are out in the field learning rather than in a classroom just listening. 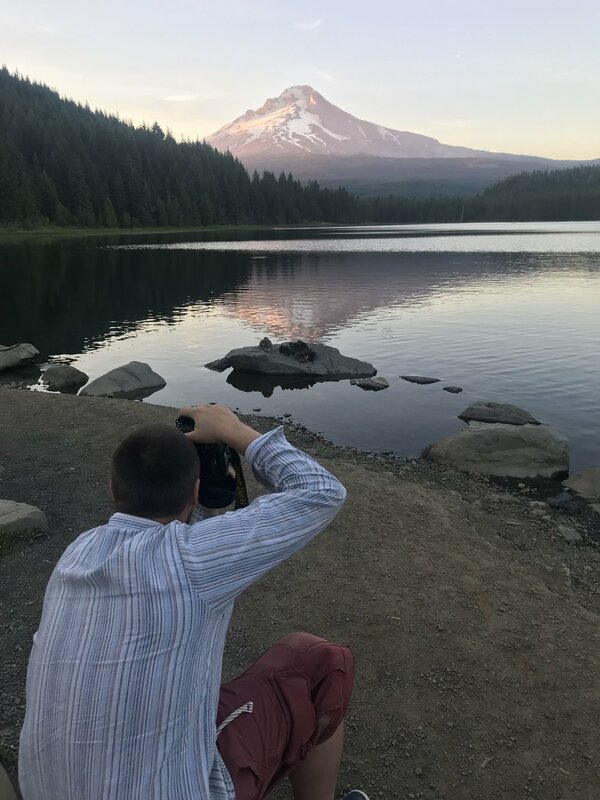 We had an evening workshop based at Trillium Lake overlooking Mount Hood with the aim to capture the sunset and also do some star photography. The evening was great fun, not only learning and applying new skills and techniques but also Joseph is a genuinely nice guy who has a passion for photography and capturing the scene. We finished the evening with a great photo of the Milky Way. I highly recommend the workshops Joseph runs, whether you are at beginner or intermediate level. He helps you get the best out of your equipment, whilst most importantly teaches you about composition and capturing a beautiful shot. I will certainly be looking to attend another session in the future when I am on the other side of the pond.